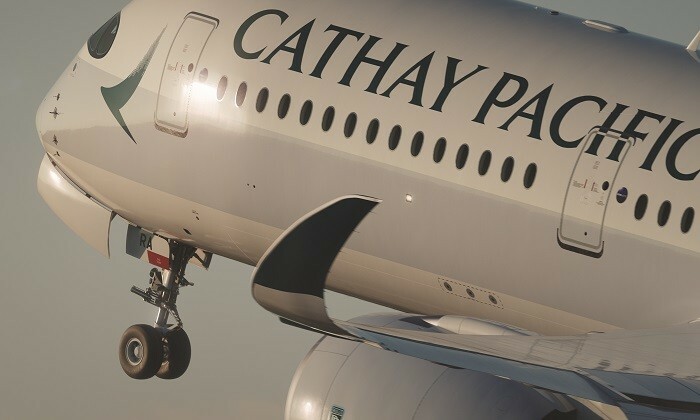 After announcing in March that Cathay Pacific will slash head office management costs by 30%, the exact dates on which the resulting job cuts will take place were revealed over the weekend. In March, the airline said it will cut middle to senior management levels jobs in Hong Kong to reduce costs. But the scale of the job cuts might be expanding to junior positions, according to recent Oriental Daily reports. On Saturday [May 13] the paper reported interviews will be carried out next month with Level A and Level B employees, those lower down on the org chart, to determine who get to keep their jobs. Last week, Cathay Pacific confirmed the number of directors at the airline will be reduced from 13 to 11. The South China Morning Post reported that under new chief executive officer Rupert Hogg, three director roles were merged into two new high-ranking positions – a chief customer and commercial officer, and a chief operations and service delivery officer. Hogg’s previous role of chief operating officer was also scrapped. According to Oriental Daily, managers, who are Level C and Level D employees according to the company’s ranking system, will find out if they still have a job on May 22. The airline has employed security and counselors to prepare for the major job cuts expected to take place next week. The Et Net reported employees who lose their jobs will receive compensation equivalent to 12 months of their salary. Employees will still be able to use the corporate medical insurance three months after they are laid off. Cathay Pacific Airways Local Staff Union is against cutting jobs. It told the Oriental Daily the airline should not cut jobs to compensate for losses from failed fuel-hedging investments.